A veteran of the Washington Post and Miami Herald, Tom Shroder has made a career of investigative journalism and human-interest stories. His most fascinating reporting, however, comes from within his own family: Shroder's grandfather, MacKinlay Kantor, was the world-famous author of Andersonville, the seminal novel of the Civil War. As a child, Shroder was in awe of the larger-than-life character. Kantor's friends included Ernest Hemingway, Carl Sandberg, Gregory Peck, and James Cagney. He wrote the novel Glory for Me, which became the multi-Oscar-winning film The Best Years of Our Lives. Kantor also suffered from alcoholism, an outsized ego, and an overbearing, abusive, and publicly embarrassing personality where his family was concerned; he blew through a small fortune in his lifetime, dying nearly destitute and alone. 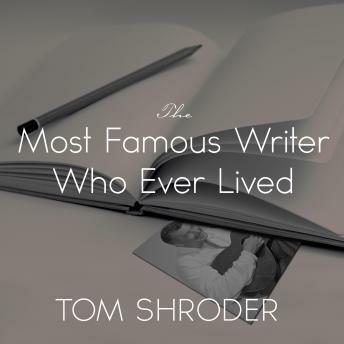 In The Most Famous Writer Who Ever Lived, Shroder revisits the past-Kantor's upbringing, his early life, and career trajectory-and writes not just the life story of one man but a meditation on fame, family secrets, and legacies, and what is remembered after we are gone.